I am a hair extensions specialist and the founder of Geenie hair & GeeniePro hair products. I Specialise in Virgin hair extensions it looks and feels natural, easy to maintain and last well. The techniques I use are designed to be discrete, whilst adding length and volume to your natural hair. All my hair's are best quality" you can choose either Virgin hair extensions, which consist of real, untreated hair and look and feels as natural as your own hair, or you can choose 100% Human hair extensions that has been chemical treated. Both can be washed, coloured and styled just as your natural hair. Virgin hair extensions can be reuse a few times if you take care of them. I aim to offer my clients a quality service, This is not just a business for me" I am passionate about my client's hair wellbeing. It gives me great satisfactions to see the happiness on a clients face after I finish doing their hair, we all have deferens reasons for wanting to get hair extensions done, some of us wants volume some length some for medical reasons. Some clients have thin hair some thick hair, you can not use the same hair texture on a client with thin hair for a client with thick hair it doesn't work" wrong texture. I offer a free consultation, it help me meet the client and see their hair texture and colour, this also help me fine out a bit about them and what they'll like to achieve? 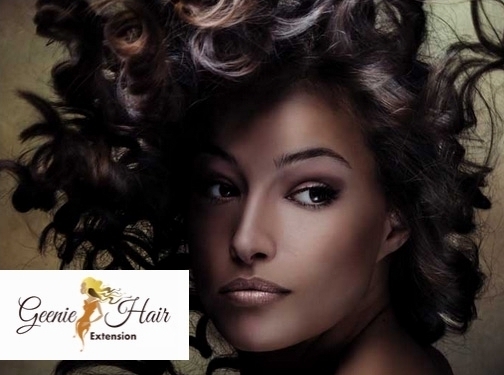 As a hair extensions specialist it is very impotent to get as much information's from the client as possible this way I can leave them feeling glamorous and satisfied. I have worked with all hair types and people. My mobile hair extensions service means I can come and do your hair extensions at the comfort of your home or you can come to mine as you wish. Not all hair extensions methods are suitable for all hair types and textures, once I see your hair I can advice you on the best technique for your hair and needs, of course the decisions are yours. I also have my own special way of applying sew-in weft hair extensions without cornrow it can last 8-10 weeks great for adding length and volume, does not give you bulkiness that weave on gives. (Watch the video ) For any questions about hair extensions or any of my services please feel free to get in touch with me or book your free consultation service. UK based business providing hair care products and services. Website includes details of services provided, work examples, e-commerce facilities (with returns/cancellations information), detailed "meet the owner" page, associations belonged to (British Association of Beauty Therapy and Cosmetology), testimonials, terms and conditions, blog, contact form.